Acer has unveiled several PCs, laptops, monitors, mini computers and pet accessories at its event in Berlin. These include many ultra-thin laptops in its new Swift and Spin series, a first-of-its-kind Predator gaming laptop with a curved display, and a miniature desktop powered by a Core i7 processor. The most notable among these is the Swift 7 laptop touted to be the thinnest in the world measuring under a centimetre, and the new beast Predator 21 X gaming laptop – the world’s first laptop to sport a curved screen. Acer flagged-off its new Swift series, and introduced four new ultra-thin laptops. Amongst the lot, the Swift 7 is the thinnest, and is said to be first laptop thinner than 1 centimetre – 9.98mm to be exact – which also happens to make it world’s thinnest laptop, beating the Apple MacBook (13mm), HP Spectre 13 (10.4mm), and Asus ZenBook 3 (11.9mm). It weighs 1.1 kg, and features a 13.3-inch full-HD (1080×1920 pixels) IPS display. 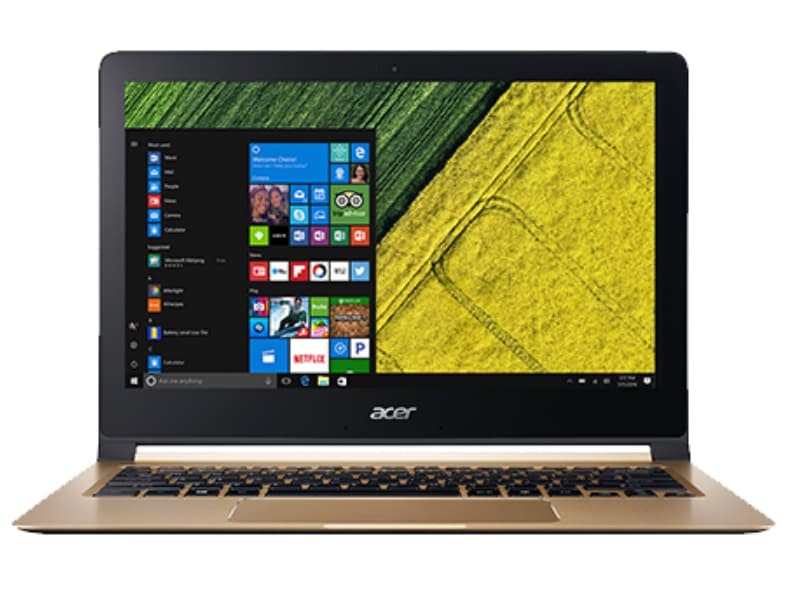 The Acer Swift 7 is powered by the seventh generation Intel Core i5 processors, 8GB of RAM, 256GB SSD, and claims to last up to nine hours of usage. It also comes with two USB Type-C ports. The Acer Swift 7 will be available in North America in October with prices starting at $999 (roughly Rs. 74,500). The other three laptops launched in this series are the Swift 5, Swift 3, and Swift 1. The Acer Swift 5 is a bit heavy and thick. It is 14.58 mm thick, and weighs 1.3kg. The only difference in specs is that it offers 512GB of SSD. The Acer Swift 3 gets even heavier at 1.5kgs, and is about 17.95mm thick. It offers a 14-inch display and comes in configurations to put in sixth generation Intel Core processors as well. All the other specs match with the Acer Swift 5. Lastly, the Acer Swift 1 is the heaviest of the lot weighing at 1.6kg, and is 17.9mm thick. It features a 12-inch full-HD (1080z1920 pixels) IPS display, is powered by Intel Pentium or Celeron processors paired 4GB of RAM, offers 64GB or 128GB of eMMC storage, and claims to last up to 12 hours of battery life. Acer also launched the Predator 21 X gaming laptop – touted to be the first in the world to sport a curved display. The Predator 21 X packs some serious heat with seventh-generation Intel Core processors paired alongside two Nvidia GeForce GTX 1080 graphics cards with SLI. It sports a 21-inch curved (1080×2560 pixels) IPS display, weighs 8 kilograms, and has five fans just to keep it at normal temperature. It has a full-sized mechanical keyboard with Cherry MX switches. It will be launched in the first quarter of 2017. In its Predator series, Acer even refreshed the 15-inch and 17-inch Predator laptops. The two laptops are made VR-ready, and now feature GPUs with Nvidia Pascal architecture, with up to NVIDIA GeForce GTX 1070 graphics. The laptops will be available in North America in September at prices starting at $1,699 (roughly Rs. 1,14,000). The company has introduced three Predator gaming monitors as well, and one of them is curved screen (I guess, they are here to stay). The most interesting bit about these monitors is that they all sport inbuilt Tobii eye-tracking technology. The most important of the lot is the 27-inch curved screen full-HD display with Nvidia G-Sync. It will be available in Europe, Middle East, and Africa (EMEA) in October with prices starting at EUR 799 (roughly Rs. 59,600). There’s also the 24.5-inch Predator XB251HQT, and the 27-inch Predatror XB271HUT monitors. The XB271HUT is priced at EUR 899 (roughly Rs. 67,100), and will be made available in December. Acer even launched a Chromebook at its IFA event. 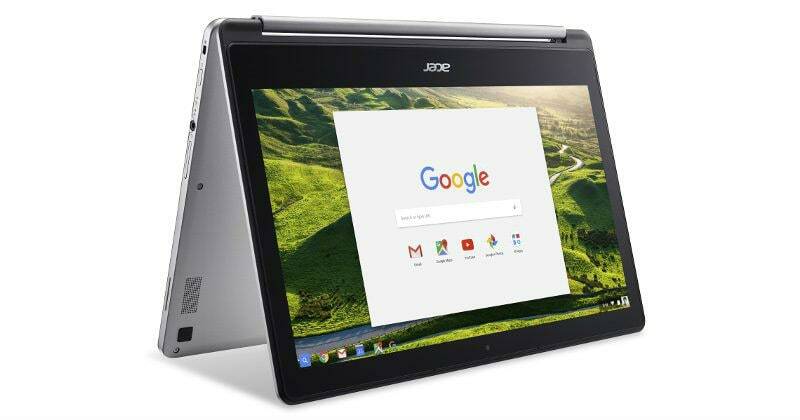 The Acer Chromebook R13 features a 13-inch full-HD (1080×1920 pixels) IPS touchscreen display. It is powered by a 64-bit MediaTek MT8173C processor paired with 4GB of RAM. The Chromebook offers 16GB, 32GB, or 64GB of eMMC storage. The Acer Chromebook R13 will be made available in both North America and EMEA regions in September, starting at $399 (roughly Rs. 26,700) and EUR 399 respectively (roughly Rs. 29,700). Moving on, Acer also unveiled the new Spin series – a range of convertible 2-in-1 laptops. The Acer Spin 7 is the flagship in this series, and features a 14-inch full-HD (1080×1920 pixels) IPS display. It is 10.98mm thin, and is powered by seventh generation Intel Core i7-7Y75 processor with 8GB of RAM. It offers 256GB of SSD, 8 hours of battery life, and comes with two USB Type-C ports. The Spin 7 goes on sale in North America this October, with prices starting at $1,199 (roughly Rs. 80,200). The Acer Spin 5 offers more storage but comes with a less powerful processor. It is powered by a 6th generation Intel Core processors paired with 16GB of DDR4 RAM. It offers 10 hours of battery life, and is 0.78-inches thin. The Acer Spin 3 features a 15.6-inch touchscreen IPS display powered by 6th generation Intel Core processors paired with 12GB of DDR4 RAM. It offers 1TB of mechanical storage, and 256GB of SSD. The Acer Spin 3 offers 9 hours of battery life. The Acer Spin 1 looks to be the cheapest of the lot with an 11.6-inch full-HD (1080×1920 pixels) IPS touchscreen display. It is powered by a choice of Intel Celeron or Pentium processors paired with 8GB of RAM. The company even expanded its Revo line of tiny computers with the Revo Base. The computer measures about 139 x139x53.3mm, and is powered by an Intel Core i7 Skylake processor paired with 8GB of RAM, and up to 2TB of storage. 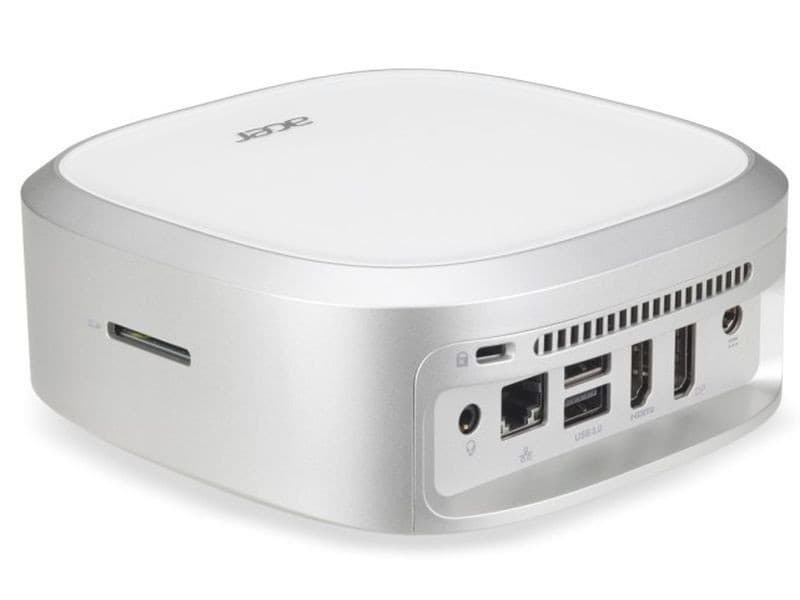 It hosts four USB 3.1 ports, Wi-FI 802.11ac, Gigabit Ethernet, DisplayPort and HDMI, and an SD card slot for removable storage. It will be available in Europe, the Middle East, and Africa in the first quarter of 2017 for EUR 429 (roughly Rs. 32,200) and up. If this wasn’t enough, Acer reveals a Pawbo line for pet accessories. The first device to be introduced in this line is the Pawbo+ interactive pet camera that lets you keep an eye on your pet even in your absence. It also has a speaker/microphone to allow you to talk to your pets and keep them entertained. It also has a food storage tray that slides out on command, and ensures that your pet stays fed. The Pawbo+ is available for pre-order at $169 (roughly Rs. 11,900) in United States, Germany, Italy, Japan, and Taiwan, and is scheduled to arrive in November 2016.